First impressions are everything. The same is true with website design. If a potential customer or client lands on you site and they don’t like what they see, they leave. It’s that simple. That is why it is essential to have an aesthetically pleasing website design to convince your visitors to do business with you and not your competitors. At Top Quality Online Solutions, Inc. our website designers specialize in creating visually stunning Internet experiences that will help to grow your business. When you choose Top Quality Online Solutions, Inc. for all of your web development needs, you can rest assured that your company’s site will look great regardless of whether it is on a large desktop monitor, a tablet, or a mobile device. We design, build, and support engaging and value-driven websites. Before beginning any website development project it is important to do all of the necessary research. In order to create the best possible user experience, our website designers and marketing professionals will meet with you to determine your goals. Once we have a better understanding of your company, we can employ a website development strategy that will be the most beneficial to your business. At Top Quality Online Solutions, Inc. our website designers are dedicated to producing websites that effectively represent your brand and are also amazing to look at and interact with. 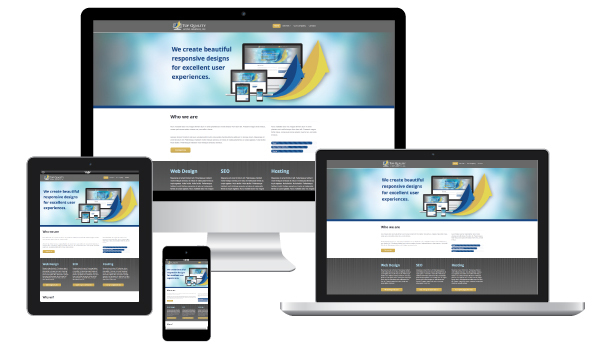 We incorporate responsive website design into all of our projects so you never have to worry about what type of device your customers are viewing your site on. All functionality is customized to your company’s goals and result in a refreshing and intelligent experience for the end user. Whether you are interested in selling goods online with an e-commerce website, you need a website that promotes brand awareness, or you need to provide an in-depth interactive site, the website designers at Top Quality Online Solutions, Inc. can get it done. Let us show you what we can do for you! A website design doesn’t just need to look great it needs to perform well. Our website designers work to improve search engine performance and back end database issues as well as page load times. This results in a website that provides the best experience for your customers. All web development projects we are involved in incorporate Google Analytics to ensure that your site is performing it’s best. Our superior customer service doesn’t end when the website development is over. We stick with you to maintain your website, hosting services, and your content management system (CMS). Want to know how we approach all our projects, step by step?